We think you can agree that there’s nothing better than a Corolla vacation . . . unless it’s saving money while you’re here! If you use these special Corolla, NC, coupons from our friends and partners, you’ll do just that. Of course, locals love Corolla, NC, coupons too. Who wouldn’t want to save money on meals at tons of Corolla, NC, restaurants or savings on souvenirs from Corolla, NC, shops or activities offered by things to do in Corolla, NC? Deals on ice cream, reduced tickets for museums and tours, free doughnuts and North Carolina sunshine – could this Corolla vacation get any better? Yes. Yes, it can. Using these Corolla, NC, coupons is super easy. Simply pull them up on your phone or other Smart device, or print them off if you’re feeling retro. It’s like having extra money at your fingertips. Check back to this site daily to see if any coupons and other great deals have been added; you have nothing to lose (except maybe the number of trips to the ATM!). Did you plan to eat out just once this week? Well, thanks to Corolla, NC, coupons, you’ll save money and have the opportunity to test out several restaurants. Were you thinking you’d have to limit yourself to checking out only one attraction a day or so? Good news! These coupons let you partake in tours, watersports, attractions and museums all in one day. These coupons will broaden your beach things to do list without threatening to break the bank. 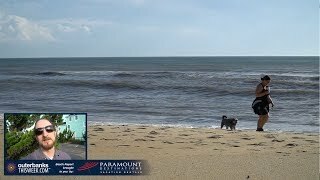 If you plan on visiting other parts of the Outer Banks, check out the other towns’ listings on this site to find coupons for those specific areas, or simply go to OuterBanksThisWeek.com to see all the Outer Banks coupons being offered all around the beach.